SERVPRO of Midland provides 24-hour emergency service and is dedicated to being faster to any-sized disaster. We can respond immediately to your emergency and have the expertise to handle your restoration or cleaning needs. Sewer damage in Midland, TX can be incredibly problematic, and quickly getting the situation under control is often imperative. You should know what can cause a flooded toilet and what you should do after it occurs to quickly clean up and restore your home to its natural state. • A drain line becomes clogged. • The septic field is not percolating. • Sewer damage occurs somewhere in the system’s lines due to issues such as tree roots or foreign objects causing a clog. 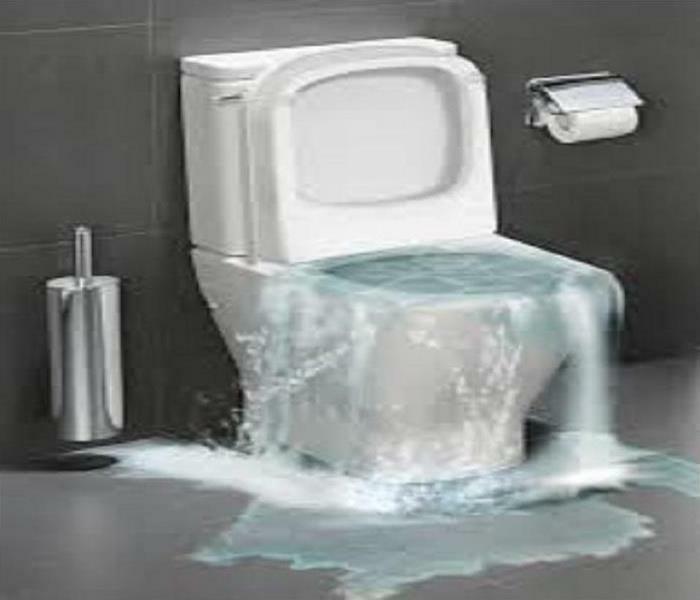 • A low flow toilet is not able to handle the demands of your household. • The trap between the drain line and the toilet bowl becomes blocked. The first step is to get rid of any water that may have accumulated in the affected space. Once this is gone, use low-suds soap and warm water to thoroughly clean all elements of the space. Once this is done, use a disinfectant and go over all of the surfaces you have cleaned to reduce any lingering contaminants and impurities. Once you complete the cleanup process, make sure that you are taking steps to prevent this problem from recurring. Be mindful of how much toilet paper you are using, never flush feminine hygiene products and make sure that small objects do not accidentally get into your toilet and flushed down. With this information about toilet overflow, you can be better prepared to deal with this type of situation. Should you experience sewer damage, it is generally a good idea to reach out to a sewage company to ensure that the restoration process is done safely and correctly. More water damage insurance claims are filed for pipe breaks and plumbing or appliance issues than weather-related causes. 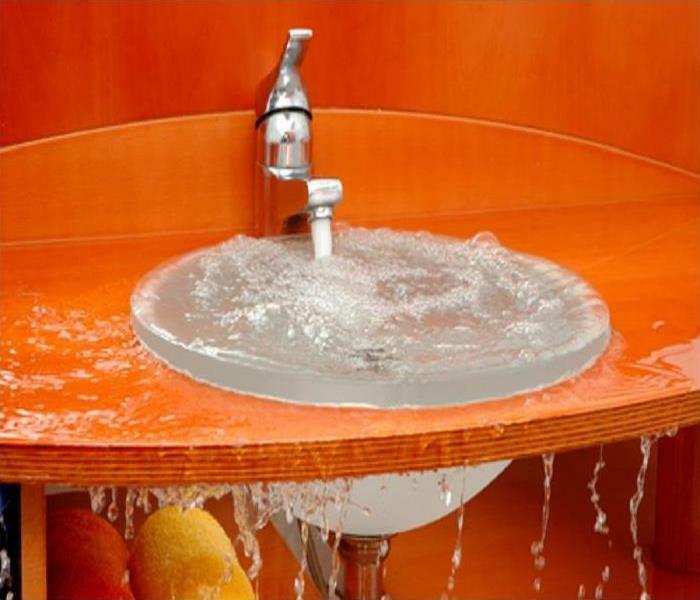 Most plumbing failures in the kitchen and the bathroom are easily prevented. If a clog causes a backup and it is not caught right away, the resulting water damage can lead to warped hardwood floors, popping tiles, and wet moldy building materials. Prevent clogs, backups, and pipe breaks by following these easy tips to keep things flowing! Cooking grease can wreak havoc on your pipes. Dispose of grease properly- never down the drain. Line a bowl with aluminum foil, and when the grease hardens you can just ball it up and throw it away! Another option is to use an old coffee can to dispose of the grease or re-purpose the leftover grease. Chemical clog removal products can corrode your pipes over time. It's best to use natural clog removal methods such as baking soda or vinegar. Keep the toilet drains clear by avoiding flushing products like feminine hygiene products and moist "flush-able" wipes. Use a drain guard or screen in the shower to catch hair. Avoid using oily or greasy body care products that can gum up the pipes. Always run cold water in a garbage disposal before adding food. Avoid tossing stringy or high fiber foods that are difficult to break down. Examples are carrots, potato peels, corn on the cob and celery. Hopefully, these tips will help make your kitchen and bathroom maintenance easier. Following these simple tips are the first defense in preventing water damage from a clogged or broken pipe. If your home or business encounters water damage, call SERVPRO of Midland immediately at 432-620-0086. Our professionals have the expertise to reverse and prevent the effects of flooding and water damage. Everyone knows not to dawdle if their house is on fire, but you may believe you have some time to make a safe exit. Well, think again. In this video, Gail McGovern, the president of the Red Cross reveals that you only have two (just two!) minutes to get out of your home before you might get stuck in the flames. This is because it only takes about five minutes for a fire to consume your entire house. And with one in seven people dying in a house fire each day, there's little room for error. Practicing fire safety certainly requires vigilance, but it doesn't take too much effort to avoid a tragedy. First, make sure you have smoke alarms in your home (5 million American homes don't). You need one in every bedroom, one outside every sleeping area, and at least one on every floor. Make sure the detectors are working and refresh their batteries when you change the clocks for the beginning and end of Daylight Saving Time. Also, it's important to practice fire drills with your family (get the Red Cross' guidelines here). You should go over possible routes to get out of your house fast, and consider getting escape ladders for any rooms on upper floors. Choose a meeting place outside that's a safe distance from your home. And of course, you should take steps to prevent fires from happening in the first place. Watch the video to learn which common mistakes you might be making. In the event of a fire emergency, first make sure to get people safely away, then call 911. 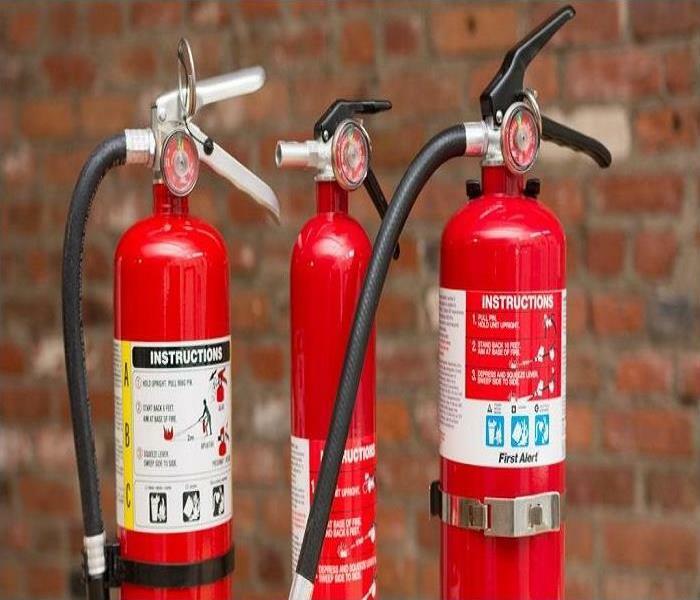 A home fire extinguisher can be used to put out or control small fires, but it’s still safest to call professional fire fighters before you attempt to control a fire on your own. If you need professional fire, smoke and water damage cleanup and remediation after a fire, call the experts at SERVPRO of Midland, TX. What you want is access to a quality restoration company to assist with recovering from storm damage in your Midland, TX business. We have strategically located restoration teams with several years of experience helping businesses just like yours recover from storm damage throughout the area and all of the resources needed to assist you and your neighbors when an emergency situation strikes. SERVPRO of Midland, TX has an entire division of dedicated, expertly trained teams composed of quality water, fire, mold, storm, and major event technicians, designed to assist you with cutting costs and saving time associated with the restoration of your business after a disaster. All of these teams are lead by an operations manager that assists with seamless communication and timely mitigation involving the recovery of your business. 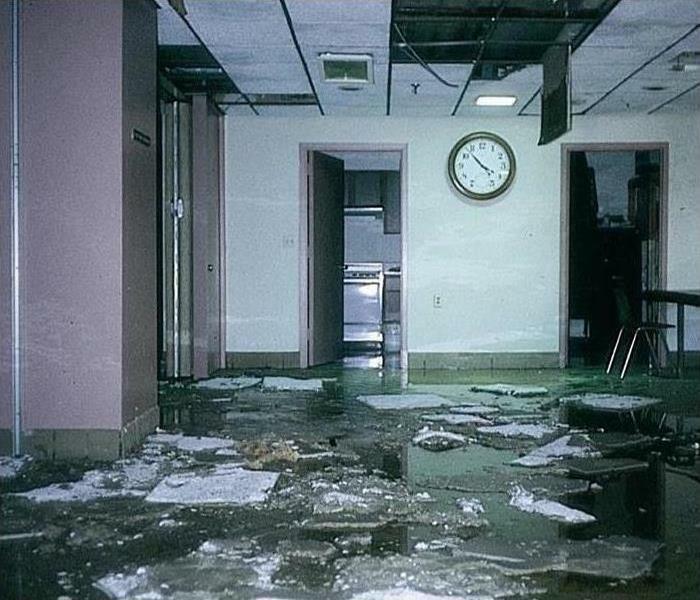 The services that SERVPRO of Midland, TX provides to every business owner involves the mitigation of the wind, rain, and flood damage that causes substantial damage in a matter of minutes, requiring an immediate response and quick, efficient implementation to prevent excessive loss of revenue and productivity. We respond to your call immediately and provide you with the help you need to get your situation under control. It does not matter how small or large your property is; SERVPRO of Midland, TX has the services, equipment, and personnel available to address the event affecting your business. We provide you with access to expertly trained storm and water damage restoration specialists, as well as cleaning and building preparation services to manage your restoration project from start to finish. Even a normal storm can cause severe damage to your property when you are ill-prepared. Give us a call to help fortify your property against the wind, flood, storm, and tornado damage that this type of phenomenon generates. We can help protect your business and get things under control when everything is said and done. Contact SERVPRO of Midland, TX for the professional restoration and cleaning services your company requires. When there is water in your home, mold can quickly become an issue. It can cause health issues and damage to your property. SERVPRO of Midland, TX has the training, protective gear, and specialized equipment to handle your mold problem. The mold cleanup and restoration process begins when you call us at (432)-620-0086. One of our employees will ask a series of questions to help determine the necessary equipment, resources, and personnel needed. Specialized filtration equipment captures microscopic mold spores out of the air. SERVPRO of Midland, TX technicians use powerful air scrubbers and HEPA vacuums to prevent the spread of these mold spores while the mold remediation is in progress. SERVPRO of Midland, TX cleans your furniture, decorative items, curtains, and other restorable items affected by mold. We use a variety of cleaning techniques to clean and sanitize your belongings. Mold Remediation in Your Midland, TX Home or Business? SERVPRO of Midland, TX offers mold remediation and restoration; we have the training, equipment and expertise to better assist you. It is preferred that you have an Industrial Hygienist protocol (mold test) done before the work begins? This is a process where air sampling and affected areas are tested to provide a detailed remediation and restoration protocol for SERVPRO of Midland, TX to follow. There is also a post-test that will take place once we are finished to confirm clearance. SERVPRO of Midland, TX will make sure to keep anything deemed salvageable; we go above and beyond to ensure restoration before removal. Unfortunately, in most situations there is some tear out involved to remove affected areas such as drywall, flooring, and/or furniture. During the mold remediation process a HEPA vacuum is used, HEPA filters are designed to capture particles as small as mold spores and to ensure that they do not get reintroduced. Our mold experts use “negative air” containment, which is created by positioning negative air machines to introduce clean air into the affected area and push contaminated air outside the home. You want to consider getting your HVAC cleaned as well, the mold spores can collect there and be dispersed throughout the home. Every mold infestation is different, from the amount of mold to the types of materials affected. Each scenario requires a unique solution, but the general process stays the same. What to Do After a Flood in your Midland, TX business or home? Storms can cause severe damage to your home—potentially even making them unsafe! SERVPRO is available 24 hours a day, seven days a week for catastrophic storm response, and you can call us at (432) 620-0086 to get immediate help. Hire a professional water damage mitigation company as soon as possible. It’s important that the company is qualified for the services you need. SERPVRO of Midland, TX is available 24/7 to help when you need it most. Not only are we a local command center, but we also have the resources of 1,600 franchises nationwide—meaning no disaster is too big. 2/20/2019 - Mold Remediation in Your Midland, TX Home or Business? 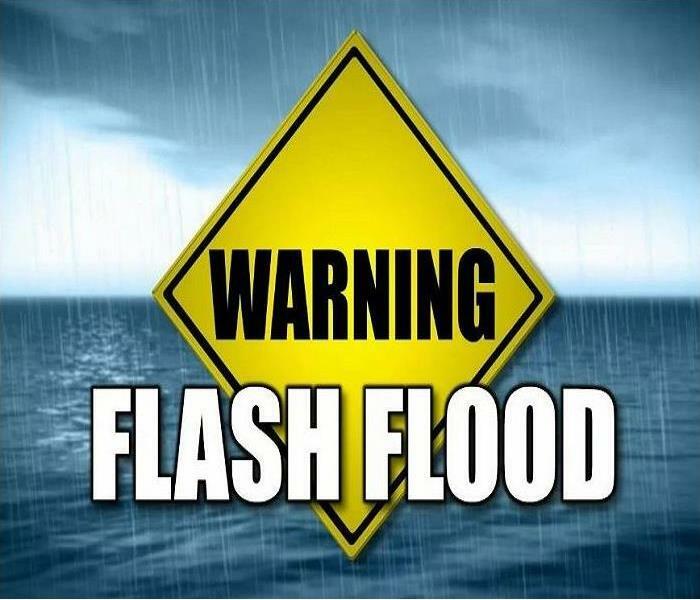 2/20/2019 - What to Do After a Flood in your Midland, TX business or home? 2/20/2019 - What's the Difference?